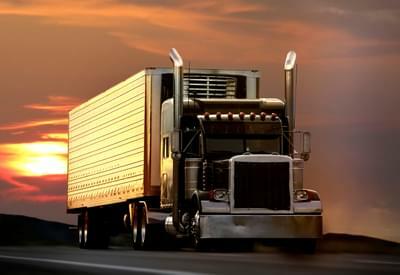 Whether you are looking for a quote for a full truckload, partial load or less than a truckload (LTL), Freight Rate Central’s fully integrated, instant Truckload Quoting system can offer you the most up-to-date and competitive pricing options available. Like all online tools, the information the FRC online quotation system provides relies on the accuracy of the information you put in. Our website offers plenty of advice and guidance on freight weight, dimensions and classification. If your online quotation seems inaccurate or uncompetitive, check that the details are correct, as minor errors here can make a big difference to your final quote. If you are confident of your shipping method, weight, dimensions and delivery details, the quote received using our online quotation system is accurate and dependable. Before using our online quotation system, you first need to work out what type of shipping arrangement you require, the size of your shipment and the type of truck you need to ship it. Unlike most freight logistics companies, we offer a complete range of different shipping methods, from conventional dry van trucks to flatbed trailers for over-sized loads and refrigerated containers for items that need to arrive as fresh as when they left your care. Our instant truckload quote generator can also provide prices for international shipping at the click of a mouse. If you are in any doubt about the transportation method you need or the size of load required, our experienced service team are only a phone call away at 855-372-7447 and are happy to offer advice on shipping methods and load sizes. Alternatively, check out our online handy guide to the different shipping and trucking methods FRC provides and advice on how to decide on whether your shipment requires a full load, partial load or less than load (LTL) service. As our online quotation system is instant and doesn’t rely on a referral to our sales team; it gives you complete control over your pricing research. If you are not sure whether a full or partial truckload is best for you, use our online quotation system to price out both options and see which is best and whether the cost savings is more valuable to you then the convenience and peace of mind of a dedicated truckload. The FRC online quotation tool also enables you to alter variables such as the type of truck, loading and unloading arrangements, size, weight and type of shipment. As a shipping logistics company, rather than direct carriers, our business is built on seamlessly booking and handling deliveries, rather than carrying them out ourselves. Our chief concern is accuracy and value. Because we negotiate bulk deals with our carriers, FRC prices can be up to 75% less than the standard prices offered by the carriers. Once you have reviewed your quote and placed a shipping request, our smart online tracking software enables you to see the progress of your shipment from A to B, 24 hours a day, seven days a week. Seamless, smart and fully integrated, FRC’s online systems are as efficient and straightforward as our deliveries. So what are you waiting for? Try Freight Rate Central’s Truckload Quotation system today to get a fast, accurate and tailored quotation, backed up by FRC’s exceptional knowledge, service and experience. Click here to get a Free Instant Online Truckload Quote now, or call our team at 855-372-7447 if you need further help and advice.